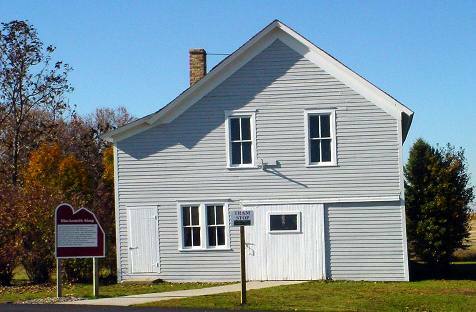 This 1850′s vintage Blacksmith Shop originally was in operation in Meriden, Minnesota. It was unique in that the second story was used as the Meriden City Hall. The local blacksmith in the settlement was responsible for shoeing the horses and repairing the hand tools and wheel rims that were the essential tools of the farmers in the community. With the advent of gas engines and electricity, the Blacksmith Shop evolved into the form you see today at Farmamerica. There is a coal forge and an electric trip hammer that replaces the mighty power and muscle of the blacksmith.